TAG Safe is a complete convenient, disposable wipe system that kills common germs that may cause illness, using a 70.0% alcohol and water combination. The application is a fragrance and dye-free formula that leaves no residue. 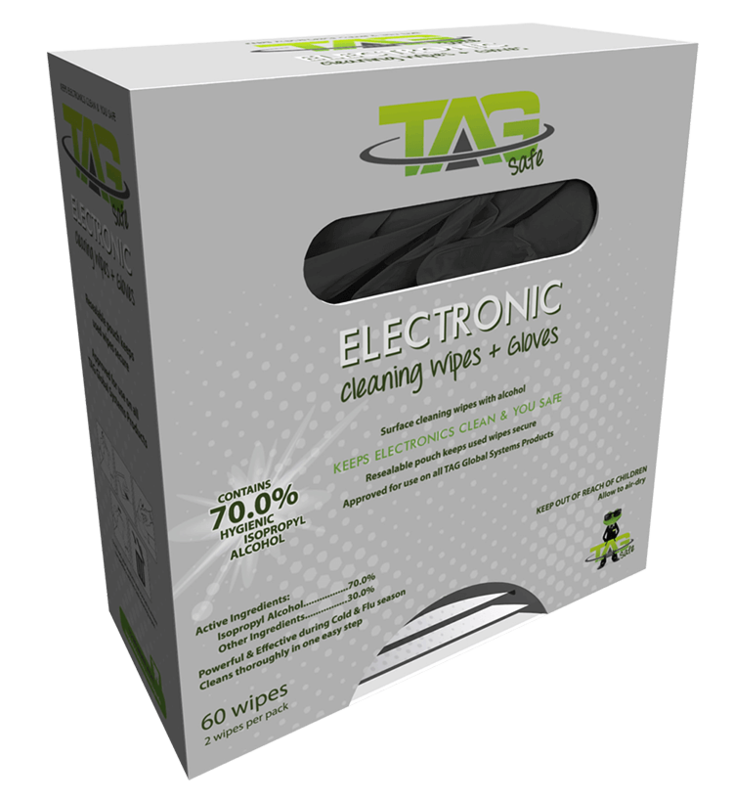 It is non-linting, durable, textured wipes tough enough not to rip or tear. TAG Safe is designed to clean residue from soiled electronic equipment, handcuffs, and hard non-porous surfaces. 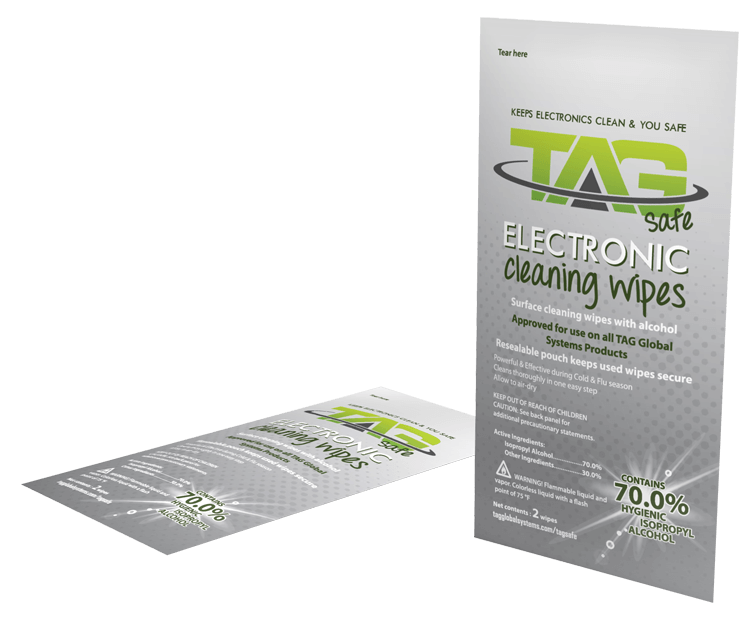 Each box of TAG Safe holds 30 pouches and each pouch (not sold separately) includes two large pre-moistened, Antistatic, non-abrasive wipes. Each box also holds 100 large allergen and latex free Nitrile gloves to use during clean ups. After use, the soiled wipes and gloves go back into the pouch and zipped shut for proper SAFE disposal. The nature of the product and its chemical compound provides a proper infection control system that simultaneously provides a large scale of prevention to dissolve, disinfect, and protect harmful germs & diseases. The nature of the product and its chemical compound provides a proper infection control system that simultaneously provides a large scale of prevention to dissolve, disinfect, and protect harmful germs and diseases. Appy to sanitized and clean TAG Computer equipment, handcuffs, and hard non-porous surfaces. Multiple material(s): (2) large pre-moistened, antistatic non-abrasive wipes in each pouch. Ethyl Alcohol, fragrance, and dye-free formula that leaves no sticky residue. Wipes are non-linting, durable, and textured. Each box contains Qty 30 pouches.